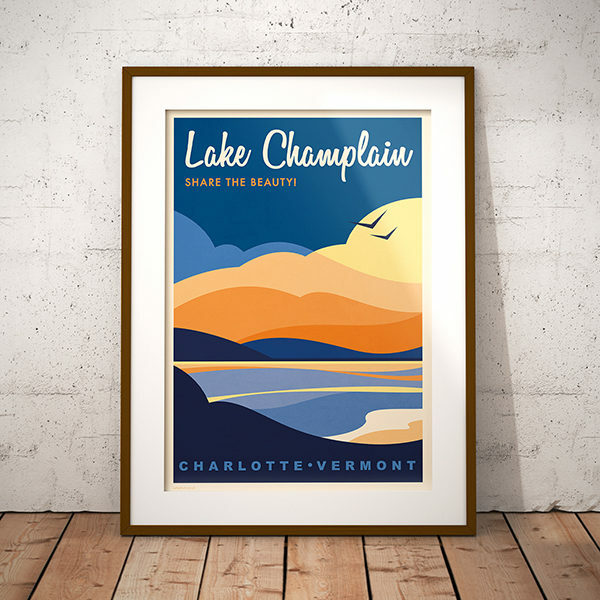 I’ve recently finished a commission to create a vintage-inspired travel poster for Lake Champlain in Vermont. 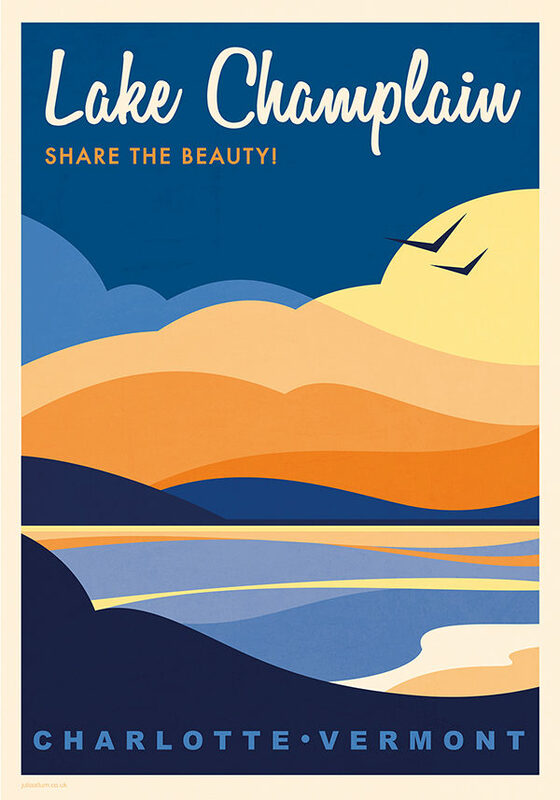 It was a fun project to work on as the brief was very open. The client sent me a few photos to work from, but essentially left it up to me to interpret them as I wished.